Inicio › Post › Internet › Have you tried burning yourself with a cigarette? or cutting yourself with a cutter? Have you tried burning yourself with a cigarette? or cutting yourself with a cutter? These questions are openly asked in one of the many pro-SI (self-injury) websites anyone may easily find in the Internet. 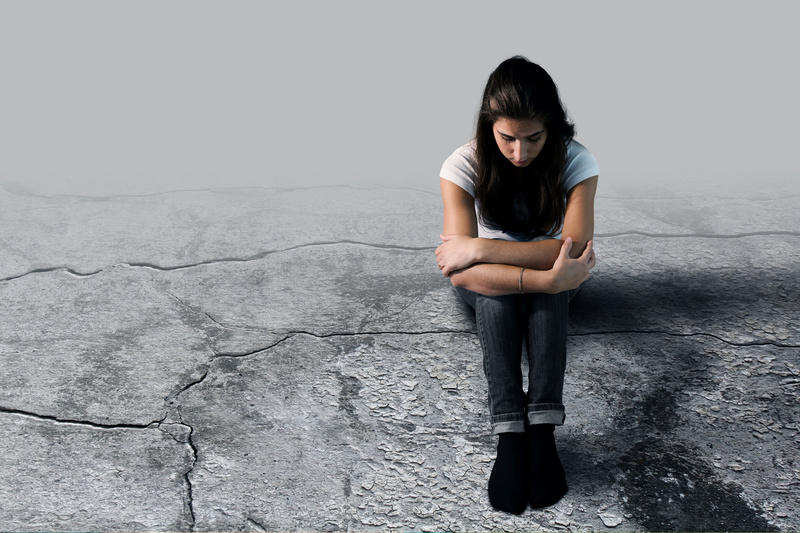 The self-named pro-SI movement proposes – and promotes – the use of self-inflicted pain as a form of facing episodes of personal distress, which are very frequent during the teenage years. In fact, the usual onset age for these practices is 12 or 13, although the greatest prevalence is at 15 and 16. This kind of websites, profiles in social media and virtual communities emerged a few years ago in connexion with pro-anorexia (pro-ana) and pro-bulimia (pro-mia) sites in the Internet. The first sites inviting young people to burn themselves with a cigarette or to cut themselves using a cutter in forearms and thighs associated these practices with loosing weight. Pain was presented as something that helped slimming. During the 1st National Conference on Anorexia and Bulimia in the Internet, organized by PROTEGELES in Madrid’s Conference Hall in 2005, several conversion charts published in these pages were presented. Teenagers and university students had set up charts specifying “the time of pain a day, caused in which parts of the body, that was necessary to burn a certain amount of calories”. Many outrageous charts stated that an hour of self-injuries would make the person loose 100 or 200 grams. Shortly after, pain started being proposed as a way of reaching the much prized self-control over one’s body and over the feeling of hunger; a way of subjugating one’s own will; and a very persuasive self-punishing system for eating. Nowadays, the pro-SI movement hasn’t yet reached its mature age in the Internet, but it has now become independent. It now has its own identity, and presents pain and self-injuries as a way of alleviating feelings of distress, emotional instability, pent up anger, depersonalization feelings and dysphoria. They turn emotional pain into physical pain – much more tangible. An added problem arises with the possibility of this episodic behaviour – which might be temporary – becoming a repetitive behaviour. If a teenager recognizes him/herself as “pro-SI”, then it works as an addiction, which becomes stronger with practice. Meeting other people who also do it and getting together in forums and online communities have a devastating effect on teenagers and settle the behaviour. We may tend to think that this will never happen to “normal” teenagers, that it will only affect young people with very serious problems related to mental health, relationships, self-acceptance, or of any other kind. But this is not true, and even if that was the case, it shouldn’t serve as a consolation. To begin with, we must bear in mind that not all teenagers are stable throughout their teen years. And in addition to that, as reflected in the study “El trastorno mental grave en niños y adolescentes en la sanidad pública española” [Serious mental disorders in children and teenagers in the Spanish public health system], presented and discussed during the 25th Conference on Mental Health by the Spanish Society of Neuropsychiatry, between 10% and 20% of Spanish children and teenagers are already suffering from some kind of mental disorder, and their incidence has been growing in recent years. The percentage of undiagnosed cases until adulthood is high, and many other young people show early signs. But, apart from these data, we all know what adolescence implies from the emotional point of view: lack of control over emotions, mood changes, continuous hormone discharges and ongoing body changes. All this turns this very significant and fabulous stage into a true roller-coaster for emotions. The uncontrolled presence of pro-SI sites in the Internet does no good to teenagers. It is necessary and urgent to regulate these sites, if possible at an European level, in order to prevent their proliferation. In the same way as regulations have been passed in relation to statements encouraging racism and xenophobia, or those encouraging terrorism, it is necessary to prevent the publication of contents encouraging anorexia, bulimia or self-aggressions – especially taking into account that 3 out of 4 users of these sites are teenagers under 18, and the rest of them are university students. Some people may say that we must focus more on “education” than on “bans”. I personally do not consider these two as opposites; moreover, I believe they complement each other. I share the idea that education is always of outmost importance. It is essential to educate children so that they grow up with high self-esteem, which will allow them to get along with faith in their own skills and possibilities, and with self-regard. Education is the best tool to prevent all these self-destructive phenomena, but this does not mean it will suffice. We all share the idea that children must be taught road safety education: children and adults must learn the importance of respecting road rules. But, does anyone think that, once we are all educated, we should take away the ban against jumping red lights? Or take fines away? Not at all. Bans and sanctions complement education. So let’s educate, of course, but let’s also develop other mechanisms to guarantee rules are complied with. Probably those who suggest prevention as the single measure to be taken have never thought about how to work on the prevention of this phenomenon at school. Can you imagine what would happen if at school a teacher or educator organised a workshop to talk about pro-SI sites in the Internet…? Can you imagine the number of schoolchildren that would be searching precisely those sites for the first time that very week? In most cases it would be simply out of curiosity, but many would end up finding and reading very harmful messages inviting them to try out this type of “experiences”. It is not easy to work on prevention against these sites, because it is a topic we must not anticipate. We must work on building self-esteem, a positive body image, how to overcome frustration… But all this takes time, sometimes it takes a whole life. So, besides medium and long term education, human beings also need rules and laws. And this is not an incidental problem. A group of Belgian and British researchers, following a survey that was recently carried out among British teenagers and published in the “British Journal of Clinical Psychology”, came to the conclusion that up to 27% of students included in the survey had deliberately caused injuries to themselves at least once. Another research carried out in the USA including 8,300 University students, including both girls and boys, concluded that 17% of them had also injured themselves. We must educate children and teenagers, and install in their computers devices blocking access to this type of harmful contents, but we must also make laws. During my appearance last week before the Spanish Parliament, as well as two weeks ago before the Spanish Senate – and in all my statements for the last 10 years – I insisted on the need to pass laws against websites that encourage self-injuries among children and teenagers and against those which present eating disorders as acceptable and voluntary “lifestyles”. « ¿Has probado a quemarte con cigarrillos? ¿Y a cortarte con un cutter?